I did a order from Asos this morning. Finally I found the perfect faux fur coat and it has 50% of discount!!! I'm not really sure about the size I have ordered, so either I will fall, or look a little bit awesome. What do you think? I'll show you when it arrives. Can't wait! Now: study, another exam is coming. Looove Asos and fur coats! I want this too but we are months away from it been cold here in Australia!!! This coat is sooooo beautiful! Such a great post, I like it!!! 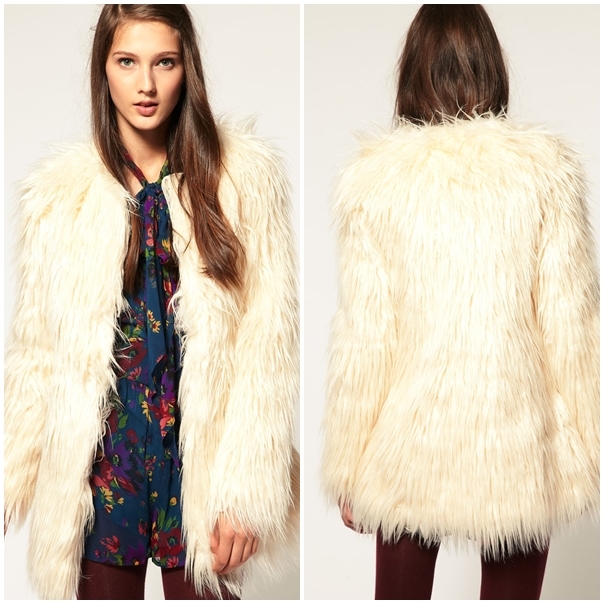 This faux fur coat is simply fab! I think it will look amazing on you! I am SOOO into faux fur! I just did my post on it. Check out Very.com for the coat I got! Love your blog. Follow eachother? I really like this fur! loooove this coat! i saw it too i want to order it! and the price is so niiice!